It has been our tradition that I make her fancy dresses, so I was disappointed. On the other hand, she can be a tough customer, so I was also a little bit relieved. The "pros" definitely out-numbered the "cons" (which was limited to only one -- our mutual disappointment that the tradition would end). 1. No treasure hunt for fabric. 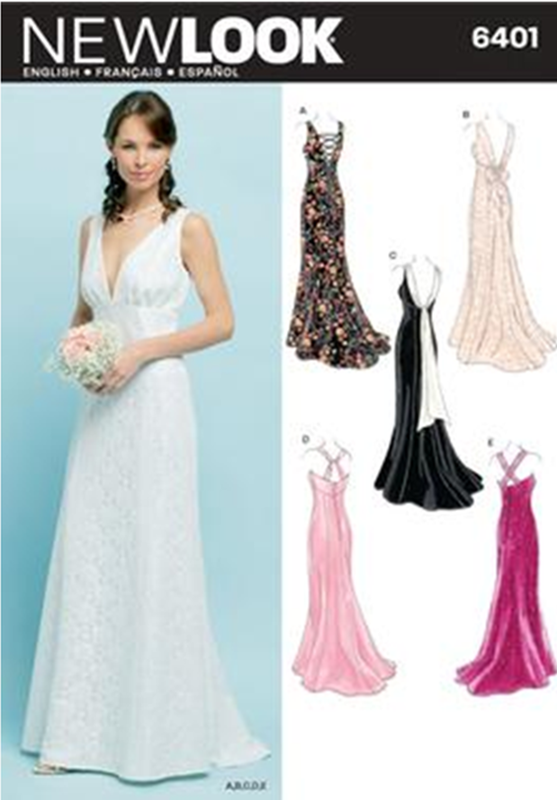 We have only chain fabric stores locally, so are limited to polyester chiffon and satin (last year's prom dress), or searching over the internet. 2. No special fitting, FBA, etc. 3. No messing with the organza, chiffon, satin. It's so slippery and fussy, especially when you're dealing with yards and yards of it. 4. No hand-beading. Refer to item #1, above. 5. No modifications to include a corsellette or built-in bra, a must-have for her. Prom 2012 - the dress could stand on its own with the built-in foundation. I think it was part of her devious plan to find something on Etsy where it's more likely I can copy it. So the search has begun. I told her we needed a little less cleavage, and maybe a little less red. The more I look at this picture, the less I like the way the silver waistband breaks up the front of the dress...maybe too much contrast? What is my attraction to OOP patterns? I removed the above comment because I mistyped and wanted to reccommend Spandex World for a sparkly fabric source. Take a look at their website, I've had good service from them. Thanks Carole! I have not shopped at Spandex World, but I will give it a whirl! Appreciate the info.